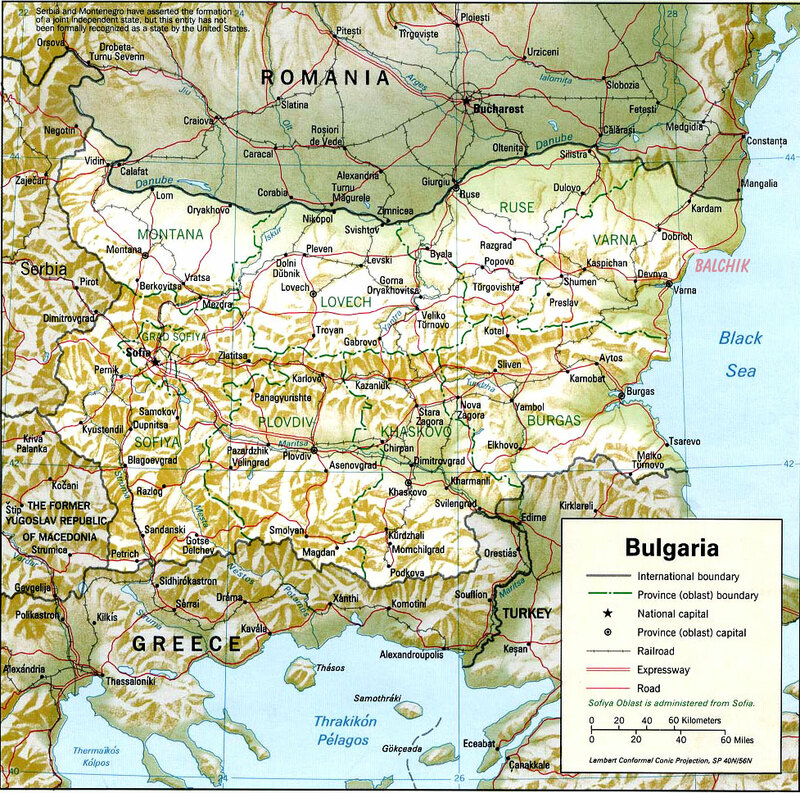 Where is Bulgaria and Balchik? “Villas Four Seasons” are situated in the holiday village zone of Balchik – one of the most picturesque towns on the Bulgarian Black Sea Coast and unique with its atmosphere and Mediterranean romance. Balchik is also one of the most progressive resort towns on the Black Sea Coast and has a rich centurial historic and culture heritage. It is conveniently near to the city of Varna and the International Airport (45km) and in the same time sufficiently far from the fast live style there. Balchik has a mild Mediterranean climate, with at average 300 sunny days during the year and ecologically clean environment. Within 20min driving distance are situated the world famous sea resorts “Albena” and “Golden Sands”, as well as great variety of new holiday villages. “The Palace” Architectural and Park Complex is the pride and glory of Balchik. In 1924 the 46 years old Queen of Romania Maria, spellbound by the charm of this piece of paradise between the white cliffs of the town and the sea, ordered her favourite summer residence to be built here. The century-old trees, the flowers of the field, the rivulets and the birds, even the sleepy ancient water-mills and dried stone fountain basins enchanted her. Italian architects Augusto and Amerigo designed “The Quiet Nest” for the queen. The floral magnificence of the park with its terraces pendent over the sea was created by the Swiss florist Jules Jeannys. The largest on the Balkans and second largest in the world the Botancal garden blossomed after 1955. A special attraction are the 250 kinds of big cactuses spinally covering a decare of land – ranked second among the collections of this type after the similar one in Monaco, and the Rosarium – sweet with the fragrance of 34 sorts of roses, also second in Europe. A candy tree, a rubber plant and a paper tree, a big evergreen magnolia, a Metasequoia also can be seen here. 3000 kinds of plants should be taken care of. “The Palace” Architectural and Park Complex is deservedly called the “pearl” of Balchik. The old town is situated amphitheatrically on the slopes of an ancient fault. The steep white rocky hills and the precipitate plummets give the town of Balchik an exotic look and are, so to say, the “weird sisters” of its nick name – the White Town. The old houses and cobblestone lanes are the “trade mark” of the White Town. The remarkable location of Balchik – on terraces above the picturesque bay, the bright white heights, sculptured by weather and wind, which surrounded it from all sides, the romantic streets, buried in greenery and dashed meanderingly at the seashore – all this fairy site-scene of stone, sun, meerschaum and flowers create the magic atmosphere of this oasis of peace. Balchik is the new Golf Riviera on the Black Sea Coast. Golfing is the major attraction for tourists and investors all over the world. Many experts predict Bulgaria will overtake the likes of Spain and Portugal as Europe’s premier golf destination. In this region there are three PGA luxury courses currently under construction – “Black Sea and Ramma Golf & Spa Resort” /www.blacksearama.com/, designed by Gary Player; “Lighthouse Golf & Spa Resort” /www.lighthousegolfresort.com/, designed by Ian Woosnam; “Thracian Cliffs Golf & Spa Resort” / www.thraciancliffs.com/, designed by Gary Player. Romantic air is all around: walks along the beach, small secret lanes by the mosque, fishing boats and yachts anchored at the marina!